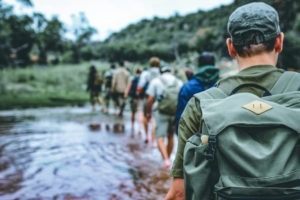 This unique 6-day Wilderness Trails Skills course provides a perfect platform for aspirant or qualified guides or nature lovers, to discover and reconnect with meaningful wilderness encounters and the wilderness within. We firmly believe that the wilderness experience can be an inspiring cornerstone in the lives and careers of all those with a passion for nature and its inhabitants, developing a lifelong culture of conservation. We take pride in creating such opportunities … encouraging a deeper appreciation of wilderness or simply recharging your batteries! The course may challenge some personal boundaries as we sleep wild under the stars, share wilderness experiences, and travel light with minimal supplies. It’s certainly more about depth than distance. The backdrop, of course, is traversing some of the finest and most remote wilderness regions of southern Africa on foot. 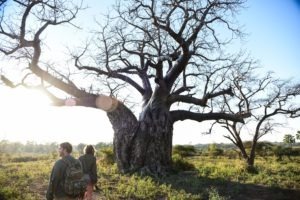 While there are no formal subjects or lectures, the emphasis of the course lies on meaningful wilderness philosophy, low impact guiding skills and bush lore. 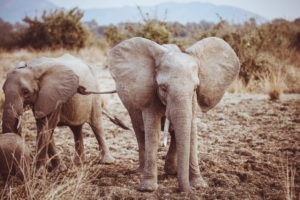 The adventures are instructed by some of the most experienced trainer/guides in Africa, with a choice of stunning venues within the Makuleke Concession (KNP). Lessons taught will not be found in any book, but learning will be “hands on”. 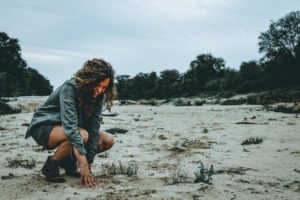 Lessons include wilderness appreciation and the MIA (Minimal Impact Approach), situational awareness, setting up an eco-friendly camps and water purification, and ‘leaving no trace’ are but a few of the advanced skills you will learn. Day 1 Meet at Pafuri Gate (KNP) at 13H00. Vehicles will be left at the student car park. The course commences from car park. Sleep out in the bush. Day 6 Students depart from the car park (Pafuri Gate). The Wilderness Trails Skills course takes place in the Makuleke Concession.